To mark the occasion of Petronor’s 50thanniversary, the Fine Arts Museum in Bilbao is reviewing five decades of Basque art, with ‘After ‘68. 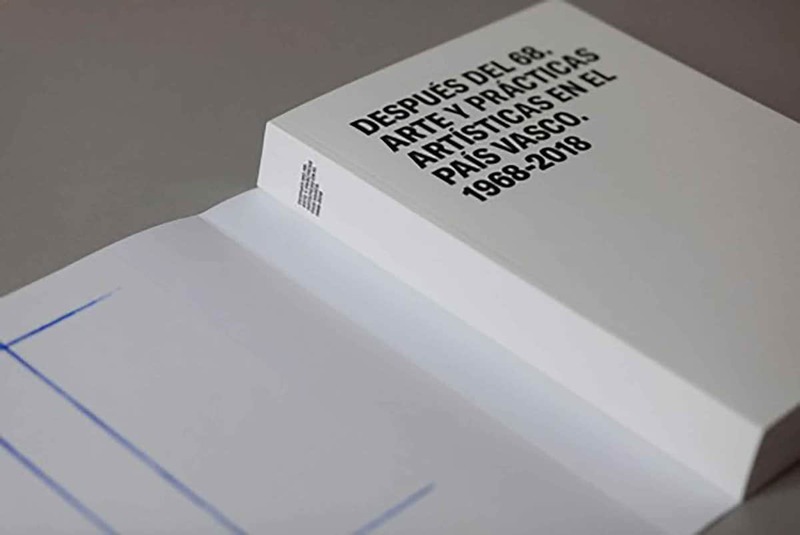 Art and artistic practices in the Basque Country 1968 – 2018’, thus consolidating the museum’s commitment to local contemporary art. This vast selection of almost 150 works – painting, sculpture, photography, video art and works on paper – and almost 100 artists from various generations, enables us to discover the way that the art experienced in this particular context has been modernised in the last change of century. It also allows us to value the great importance that individual and collective careers emerging from the Basque Country and Navarre have had on the national and international scene. The display, open to the public until 29thApril 2019, was curated by Miriam Alzuri (historian), Begoña González (chief librarian), and Miguel Zugaza (Museum director). The exhibition image and its corresponding catalogue were designed by Franziska Estudio. The image is based on ‘the skin’ of the museum, specifically in the grid that features on the modern building’s exterior profile. The building, opened in 1970, has had a decisive influence on the evolution of Basque art, and now it has a major bearing on the exhibition’s graphic elements. In homage to the meeting space that the museum has provided – and continues to provide – the grid of the outside of the building has been used as the graphic cover for all the exhibition’s diffusion pieces: from the teasers to the catalogue. This grid is represented using lines of blue fixer, a tool that is normally used in the world of construction to mark layouts, and which here acts as a nexus between building and art. These blue line markers have been adapted to each of the exhibition diffusion formats, both internal and external, and have a particularly important place within the catalogue. 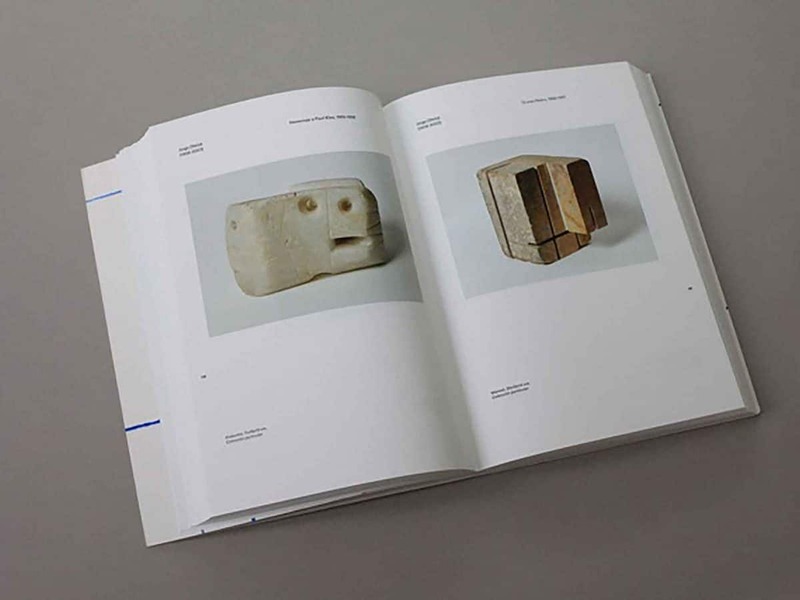 With over 500 pages, the catalogue is split into two major sections. 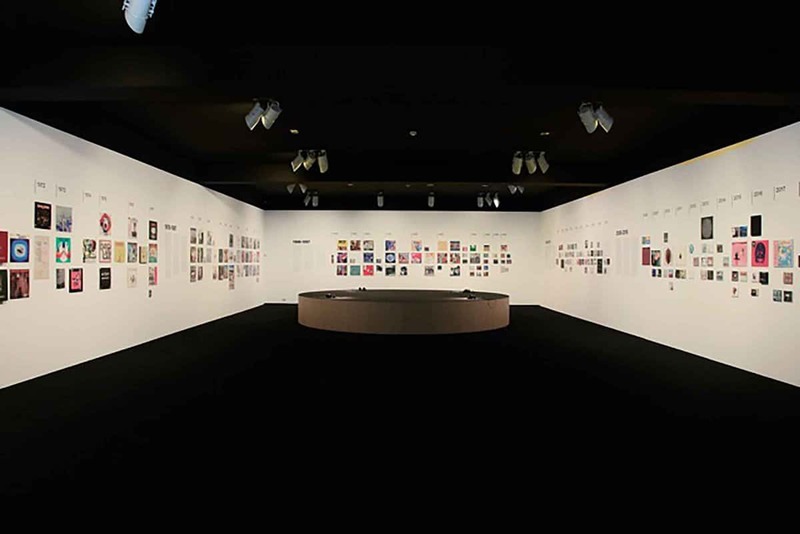 The first includes texts from specialists – Peio Aguirre, Fernando Golvano, Francisco Javier San Martín and Miren Jaio – who contribute new information to the study of manifestations of art emerging in the Basque Country from 1968 to today, as well as the photographic representation of all the works that make up the exhibition. 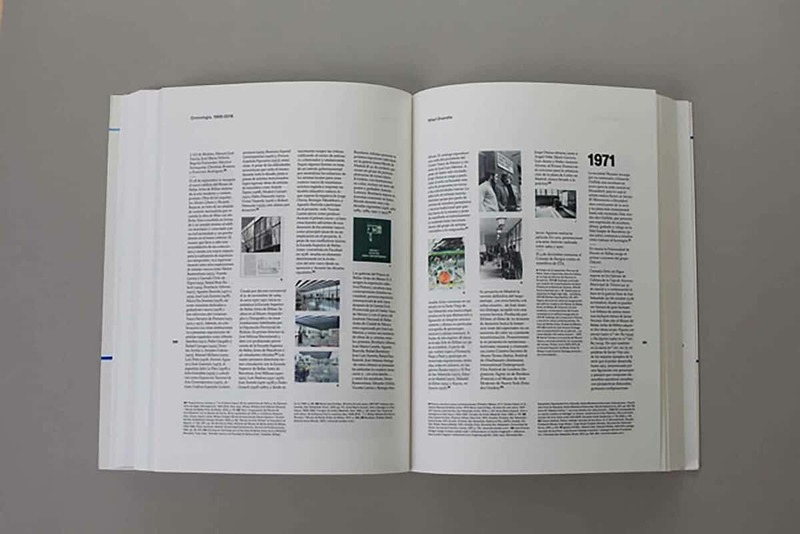 The second section presents an exhaustive timeline, created by Mikel Onandia, which includes the facts that defined the artistic and cultural backdrop of the time. ‘After ‘68’ is completed with a space designated to music. 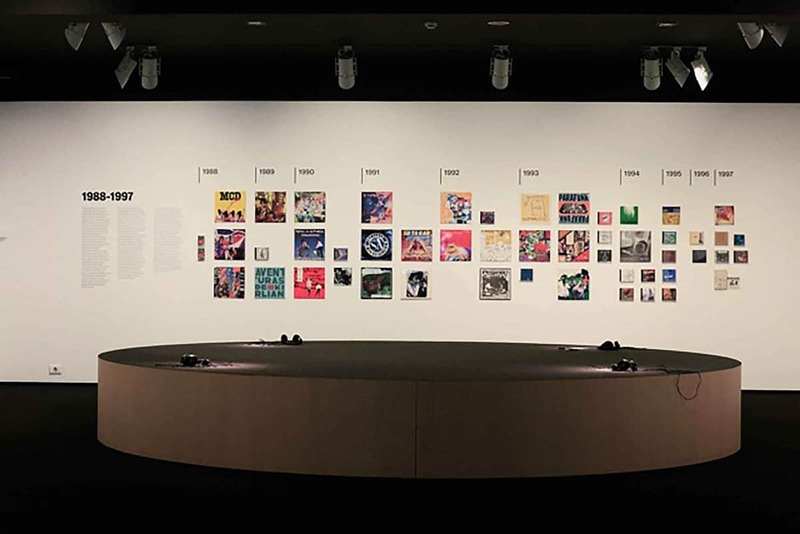 Curated by the sound artist Xabier Erkizia, and designed by Franziska Estudio, this venue presents original materials – album sleeves, posters, sound recordings… – which give us a historical insight into the musical and sound practices in the Basque Country over the past fifty years. The hall displays all of these sound materials on the walls, separated into decades, and it also offers a foldout leaflet that visitors can take home with them as a souvenir of the exhibition. The central part of the hall is presided by a large circular ‘tablet’measuring five metres in diameter, where guests are welcome to lie down to enjoy the playlists from each decade on the four listening points. In the other room in the hall there is a two-storey stand dedicated to sound workshops for school groups, which will be held throughout the duration of the exhibition. Next Next post: How can creative web design impact your SEO?